For those who’ve read through the Scriptures, there are numerous names attributed to God and Jesus, each one describing a unique facet of the divine nature and Christ’s relationship to us as individuals and humanity as a whole. How else can we possibly begin to comprehend the vastness of Jesus’ characteristics as both entirely human and entirely the infinite God? In this four-week series, we'll be given the opportunity to delve into God’s promises of who Christ would be born as and who He would become known as while working His ministry toward the cross and resurrection. 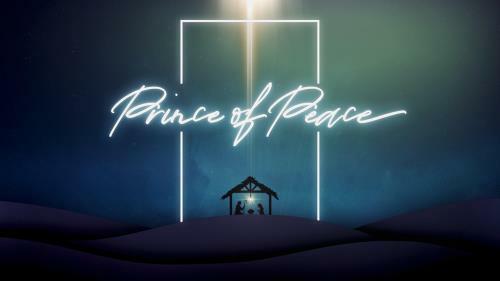 Centered in Isaiah 9, the Prince of Peace series defines four names and titles used for Jesus, relating to his being born as the Christ-child: Wonderful Counselor, Mighty God, Everlasting Father, and Prince of Peace. Not only will we discover how these names relate to prophecies of the Messiah, but also how they set apart Jesus as the Son of God in birth and as the world’s only hope for salvation. This series will help to anchor us in cultural and historical context while also speaking to modern society’s struggles with doubt, fear, and chaos, and how true peace is found in those who choose to follow Christ.